Chou Twist is 29" long with a 3" pendant. 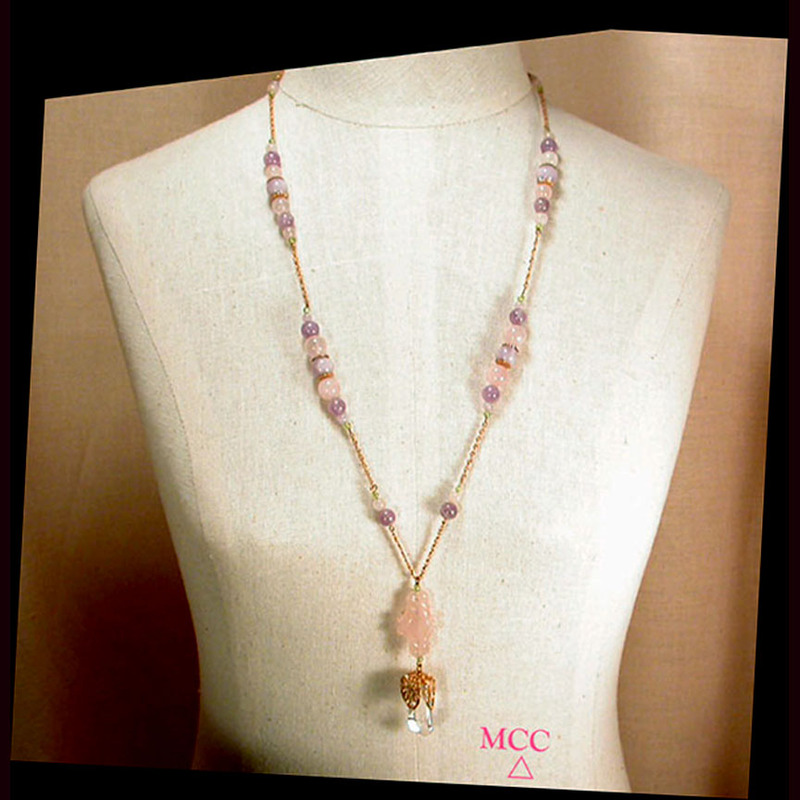 It's 14k goldfill French rope chain with stations of matched Cape amethyst, rose quartz and peridot. 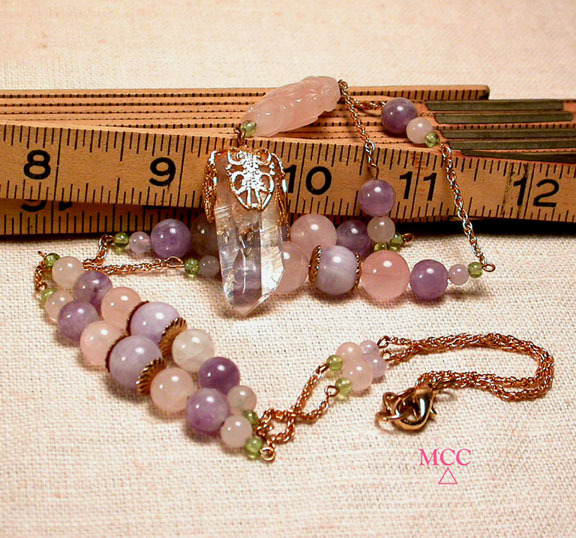 The pendant is of peridot, a gem grade Arkansas rock crystal, and a hand carved rose quartz 'chou' with smoothly carved twisted ends. A good luck beauty!